The Appian Equity Fund is an actively managed, concentrated global equity fund that invests in large cap. quality companies at attractive valuations. 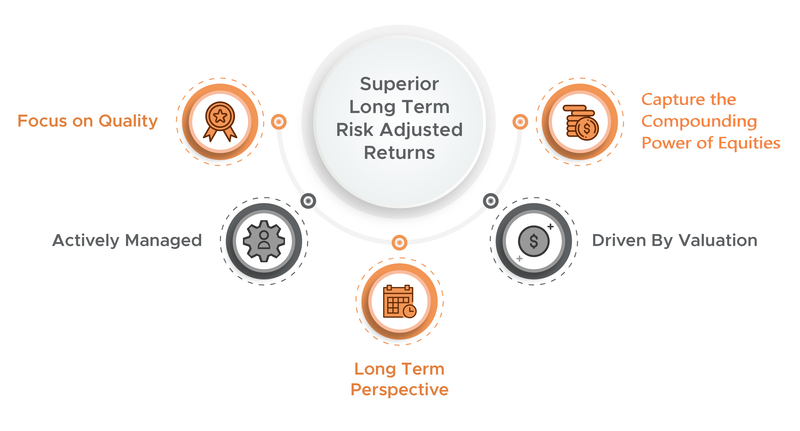 We believe this is the path to achieving long term superior risk adjusted returns. We define quality within equities as the ability to generate excellent returns on capital and turn these returns into cash. The ability to generate high levels of returns and translate these returns into cash allows companies to return cash to shareholders in the form of dividends and invest in the business thereby driving long term dividend growth and ultimately share prices. All our investment decisions are driven by valuation and this comes through in the companies in the Fund having a dividend yield in excess of the market and a price earnings ratio which is lower than the market. What makes the Appian Equity Fund Different? Concentrated: This is a concentrated fund which typically invests in 30-40 companies. We view this as the best way to strive for returns while managing the risk in the underlying equities. Long Term Focused: Our focus is on making the right investment decision for the long term. However, we will be active if the valuation or quality characteristics of our positions change. Actively Managed: We are not benchmark constrained and invest where we find the right combination of Quality and Value. This results in the Fund being substantially different from its comparative indices as illustrated by its high active share. * WARNING The value of investments may go down as well as up. Past performance is not a reliable guide to future performance. These investments may be affected by changes in currency exchange rates. If you invest in this fund you may lose some or all of your investment. No part of this website is to be reproduced without our written permission. This website has been prepared and issued by Appian Asset Management on the basis of publicly available information, internally developed data and other sources believed to be reliable. It does not constitute an offer or an invitation to invest, or the provision of investment advice. No party should treat any of the contents herein as advice in relation to any investment. While all reasonable care has been given to the preparation of the information, no warranties or representation express or implied are given or liability accepted by Appian Asset Management or its affiliates or any directors or employees in relation to the accuracy fairness or completeness of the information contained herein. Any opinion expressed (including estimates and forecasts) may be subject to change without notice.